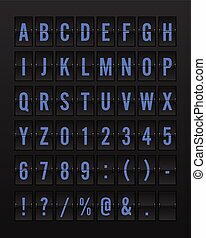 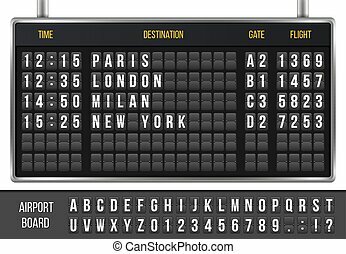 Airport mechanical flip board panel font - blue font on white background vector illustration. 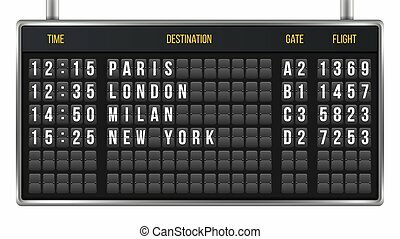 Love messages for Valentine in airport flip board style. Vector font design. 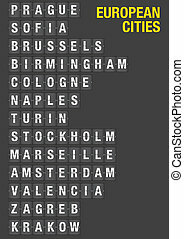 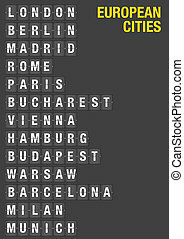 Name of European Cities on airport flip board style. 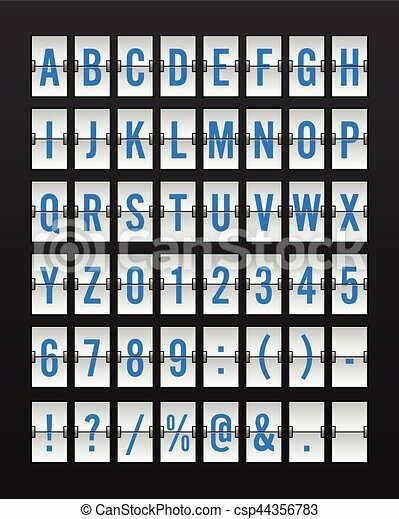 Vector font design. 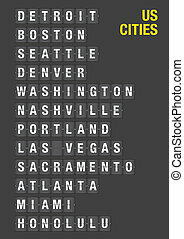 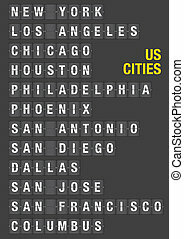 Name of American Cities on airport flip board style. 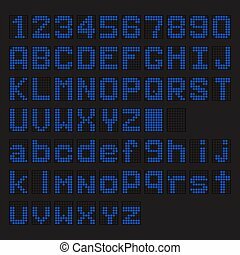 Vector font design. 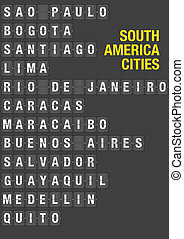 Name of South American Cities on airport flip board style. Vector font design. 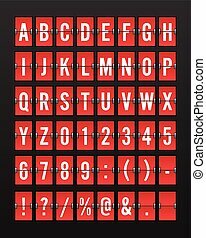 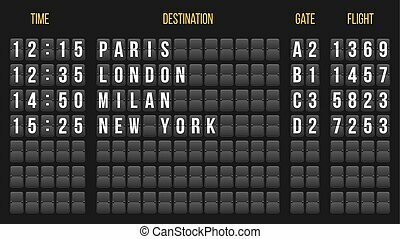 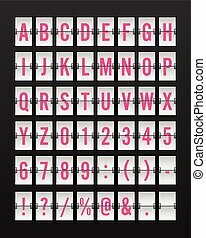 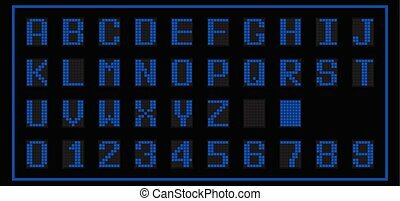 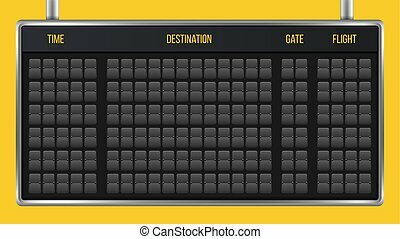 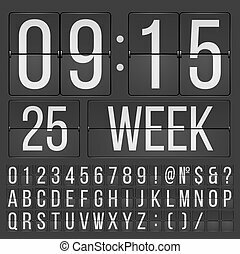 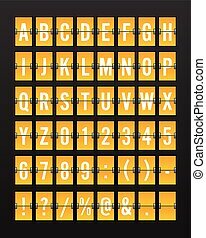 Creative vector illustration of realistic flip scoreboard, arrival airport board with alphabet, numbers isolated on transparent background. 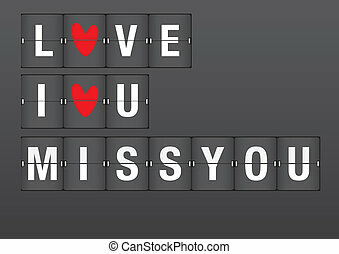 Art design. 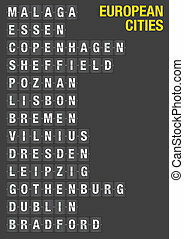 Analog timetable font. 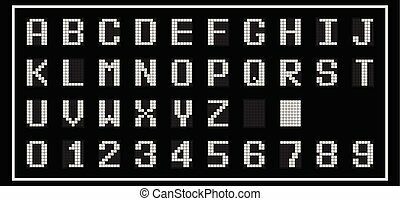 Concept graphic element.